Understanding clients’ difficulties is relatively easy when the problems are straightforward but far more challenging when, for example, clients have more than one diagnosis, they have a personality disorder or because their problems are wide-ranging, long-standing and chronic. In such instances it is often difficult to maintain a coherent focus and a consistent approach and it can feel as though we are not able to use CBT skills and knowledge to the client’s best advantage. Using a case study for illustration, Helen will explain how complex problems can be understood and formulated, and how CBT can be used creatively and productively. 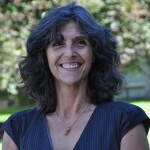 She will draw on the cognitive model to provide a framework for understanding and treating those with complex problems and will emphasise that problems are easier to resolve when therapists make use of collaborative formulation, and when they understand how to work with inflexible beliefs and behaviours. Helen has much experience working with clients with complex problems and will be using clinical material to illustrate teaching points, and participants will be involved in discussion exercises and role play. Helen Kennerley is a Consultant Clinical Psychologist and a founder member of the Oxford Cognitive Therapy Centre, where she was for many years Director of the postgraduate courses in Advanced Cognitive Therapy Studies and the MSc in Cognitive Behavioural Therapy. She is currently the lead for the OCTC / University of Oxford Certificate in Supervision and Training. She is an experienced clinician now specialising in childhood trauma. She has made valuable contributions to the field of cognitive therapy through her popular workshops and her writings. Amongst other publications, she is the author of Overcoming Anxiety and co-author of An Introduction to Cognitive Behaviour Therapy, both of which have been highly commended by the British Medical Association. In 2002, Helen was also voted one of the most influential female cognitive therapists in Britain by BABCP members. If you cancel more than 14 days prior to your booked event, we will refund your fee minus a charge of 15% to cover our administration costs. We regret that cancellations 14 days or less before the booked event cannot be refunded or changed/transferred. If you wish to change/transfer your booking after confirmation we will do our best to accommodate you if you notify us 14 days prior to your booked event, and if there is space to do so. However there will be an administration charge of £15 per change/transfer. Workshops often contain clinical material. This is always anonymised as far as possible but delegates are none the less reminded to respect confidentiality. All that is discussed in your therapy sessions will be treated as confidential, with the following exceptions. We are required to seek supervision by our professional body (The British Psychological Society or equivalent) as a means of ensuring good practice. We will usually inform your referrer of your progress, but the details that we disclose will be discussed with you. We do have a statutory obligation to break confidentiality under rare circumstances, namely, if we believe that a client is of danger to themselves or to others (under the Mental Health Act, 2001) or if we believe that a child is at actual risk of physical or sexual abuse (The Children Act, Section 47, 1989). If we felt that it would be helpful to request additional medical, social or legal information, we could only do this with your consent. Similarly, should another medical, social or legal professional request information from us, we would not release this without your consent. OCTC makes every effort to ensure that this programme is delivered as advertised. However, should a presenter have to cancel, we will endeavour to find another suitable presenter. We will inform attendees as soon as is reasonably practical and, if requested, will offer a refund. In the rare event that we are unable to substitute a presenter, we may cancel a workshop and refund payments already made by attendees. OCTC will not refund travel and accommodation costs that attendees may incur. All the workshops in this programme are carried out by highly experienced therapists and trainers. The individual presenter is responsible for the content of the workshop and any views expressed do not necessarily represent those of OCTC. Basic workshops are for people from a variety of backgrounds, who have at least one year’s clinical experience. Cognitive behavioural knowledge is not necessary for attendance at these workshops, though in practice, a number of attendees will have some skills in the area, and are refreshing/updating their knowledge. Intermediate workshops are directed towards people who already have knowledge of CBT, and experience in using cognitive formulations and treatment methods – for instance, they are able to identify and test automatic thoughts, and design behavioural experiments. Most participants will be using CBT as part of their clinical practice, and may still be acquiring new CBT skills. Advanced courses are directed towards those professionals who use CBT routinely as part of their clinical practice. They have probably undertaken a significant number of training courses and/or workshops, and use a broad range of cognitive behavioural strategies to work with a range of presentations at varying levels of complexity. Bookings can only be considered confirmed after we have received your online registration or application form and payment (or invoicing details, including an official purchase order document). Please note that registration to workshops closes 7 days prior to the event date. If you are booking a workshop place for someone else, you must complete your own details in the billing field, but ENTER THE WORKSHOP PARTICIPANTS NAME/ADDRESS in the shipping field. If you wish to order items using a paper order form instead of online, you can view or download an order form in Adobe Acrobat (PDF) format. Once downloaded, print it out, fill it in, and send off with your payment [cheque made payable to OXFORD HEALTH NHS FOUNDATION TRUST] to the address on the form. The cost of the workshops includes hot drinks on arrival, mid-morning and mid-afternoon, but not usually lunch unless stated. However, for workshops that do include lunch, if you have any special dietary requirements please let us know at the time of application.